It feels like I’m always on the hunt for delicious and healthy side dishes. We eat a lot of salad from our garden this time of year, and I’ve come up with some tasty recipes to accompany the main course. A stand-by for low-energy nights is baked organic frozen sweet potato fries, which are scrumptious but get boring quickly. 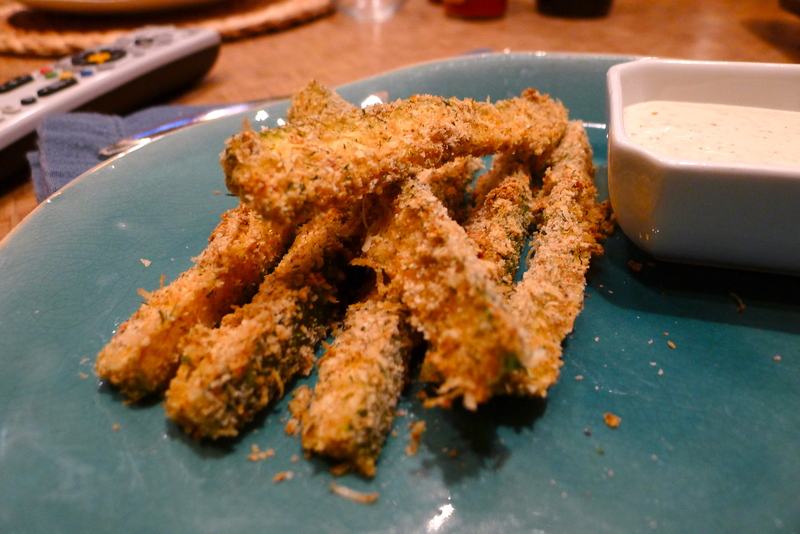 This week, I started to make homemade sweet potato fries when a couple of zucchinis caught my eye. 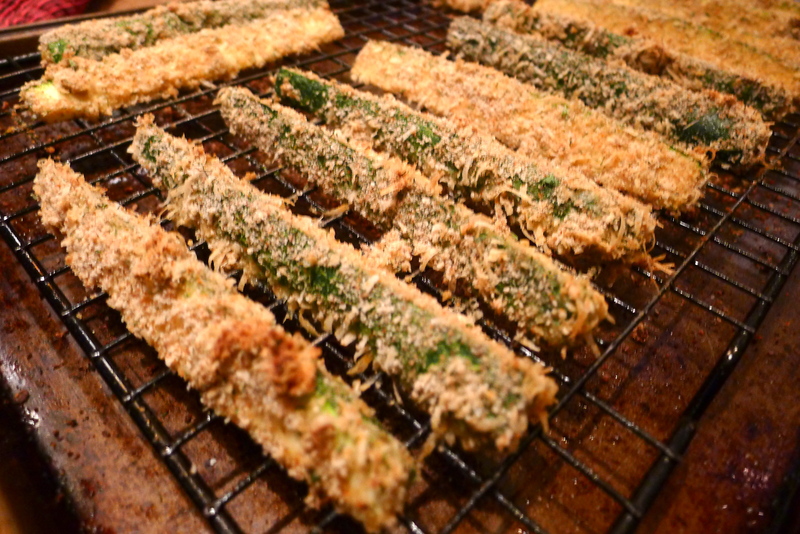 It led to a fabulous, good-for-you, seasonal side dish: cayenne-parmesan zucchini fries. And I couldn’t believe how easy they were to make! 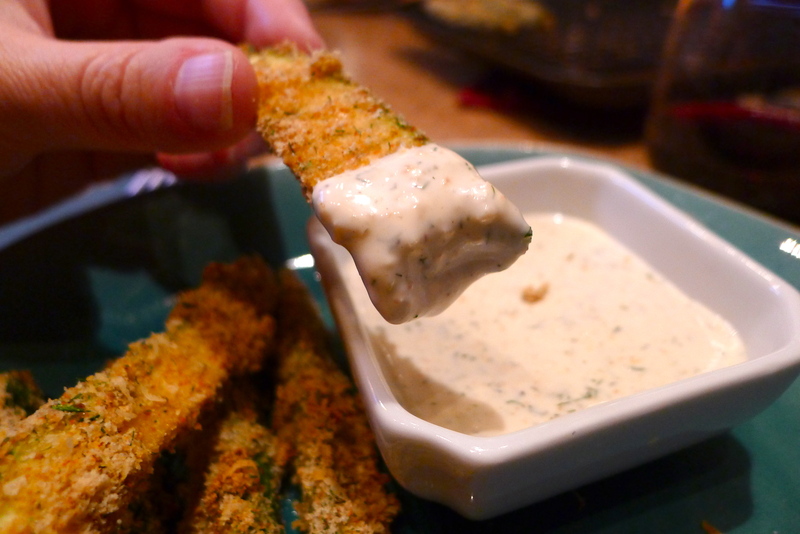 Zucchini fries are nothing new, but they’re new to me. 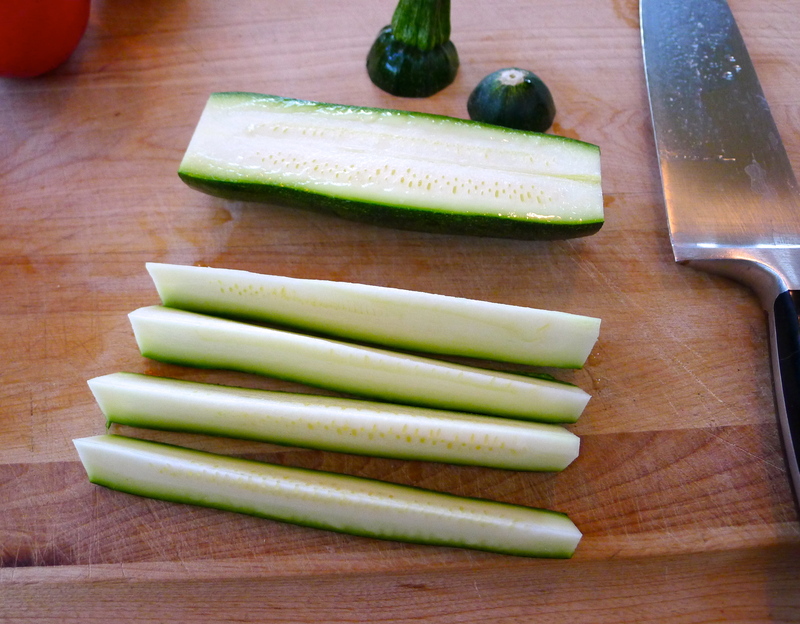 I started by cutting my zukes into thin strips a la French fry. I set up a battering station with two bowls. 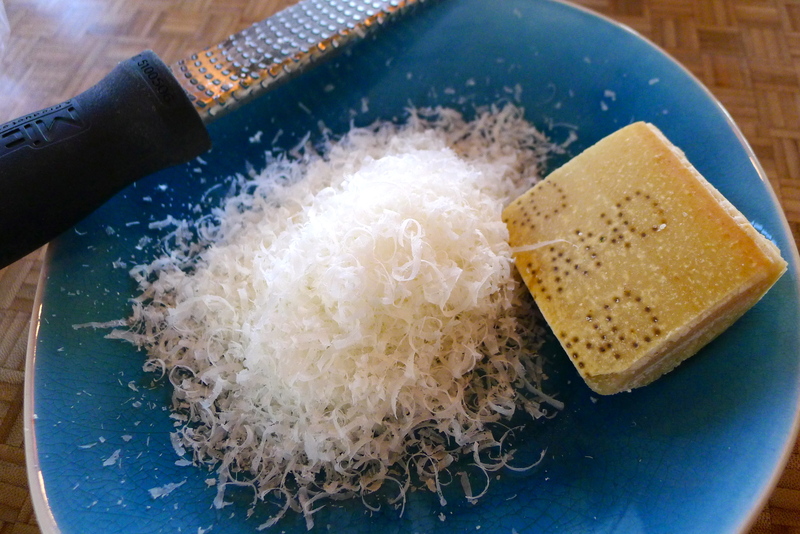 In one, I whisked two eggs and in the other, I combined a cup of seasoned breadcrumbs, ½ a cup of freshly grated Parmesan cheese, some spicy cayenne pepper, a little garlic salt, and plenty of dried dill. 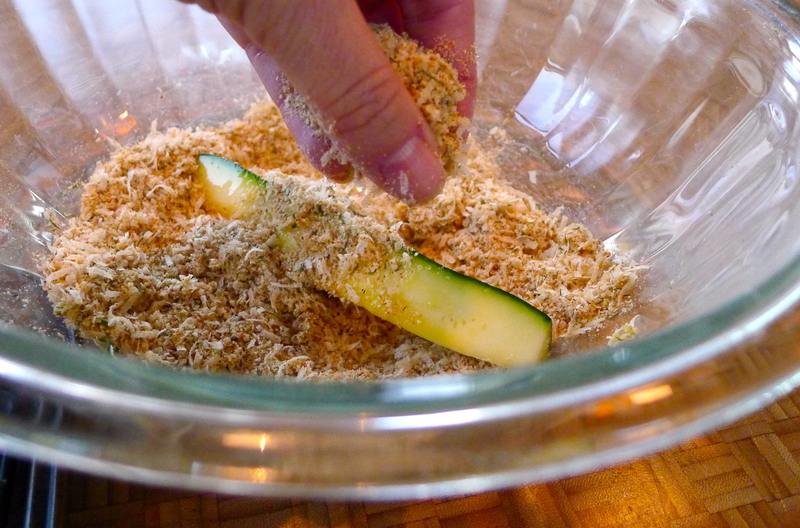 I dipped each zucchini strip into the egg before coating it in the breadcrumb mixture. I laid out the zucchini on a cooling rack over a baking sheet. When I’d dipped and coated all of the zukes, I baked them in a 425 degree oven for about 25 minutes, until the coating had browned and gotten crispy. Beautiful! We served these healthy “fries” with a tasty Chicken Philly Cheese Sandwich (thanks, John). 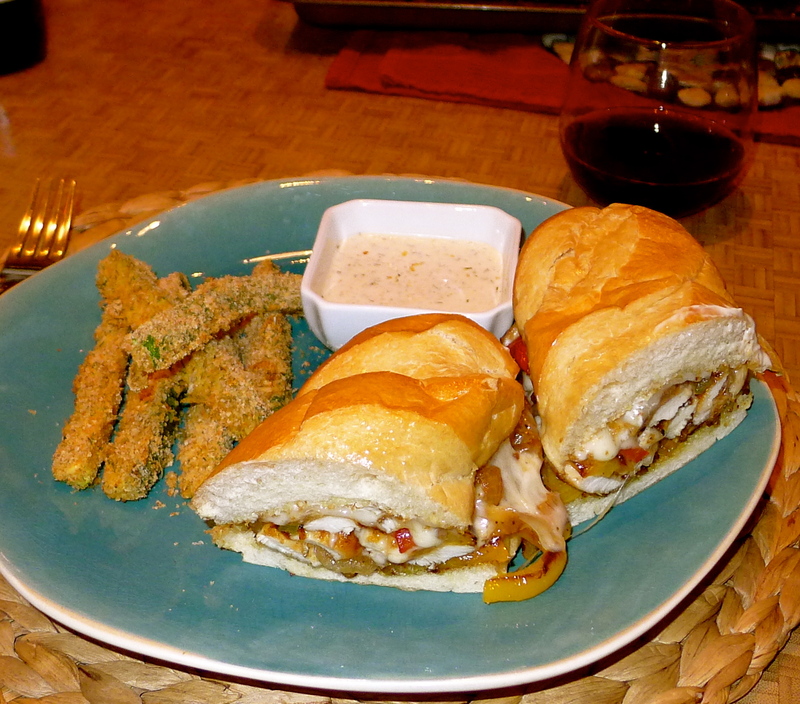 For dipping, I stirred some of our homemade habanero sauce into some classic Ranch dressing. 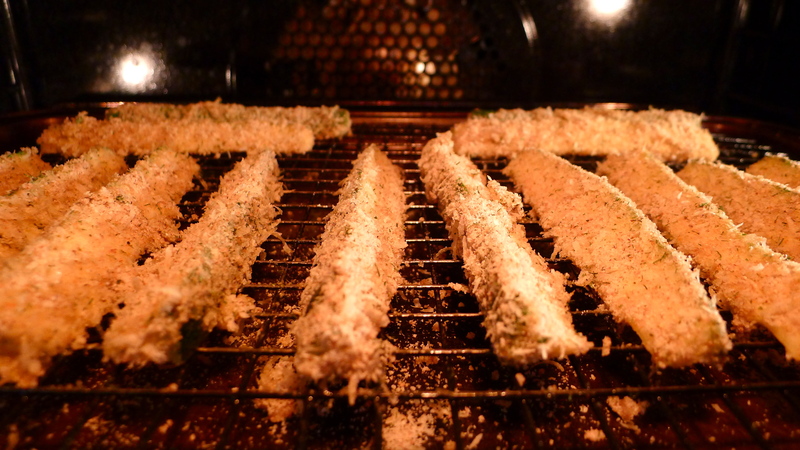 The zucchinis kept some of their crunch, and the breading tasted light and salty with a kick of heat. They were so good– we ate them all! 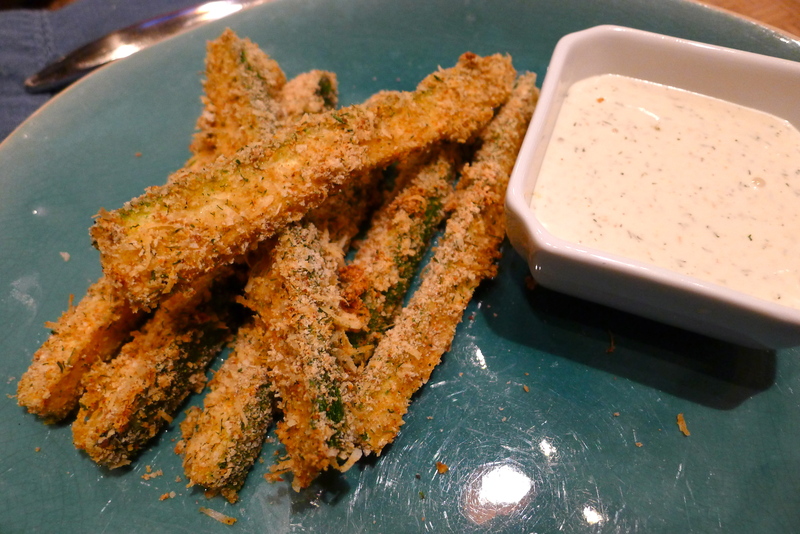 Such an easy alternative to frozen fries, and a great way to get your kids (or husband) to eat some vegetables! What’s your favorite healthy side dish? Share with me! Heat oven to 425 degrees. 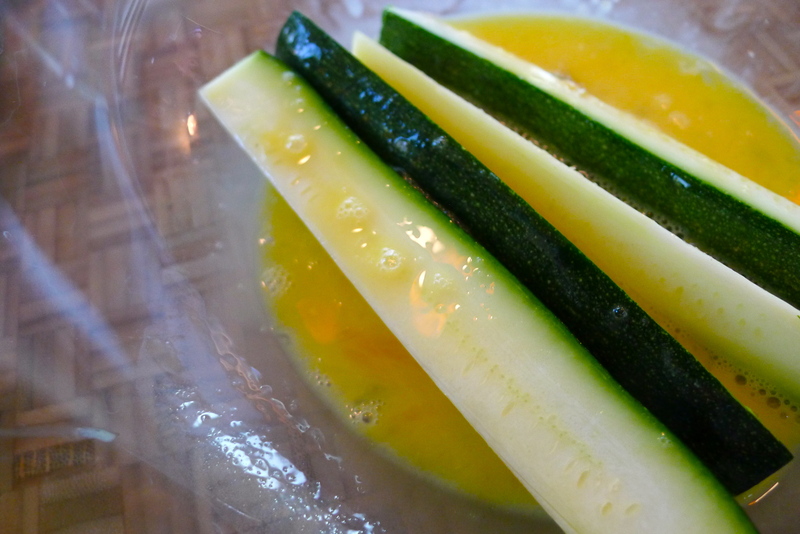 Slice the zucchini into long strips, like French fries. Crack the eggs into a bowl and whisk them. 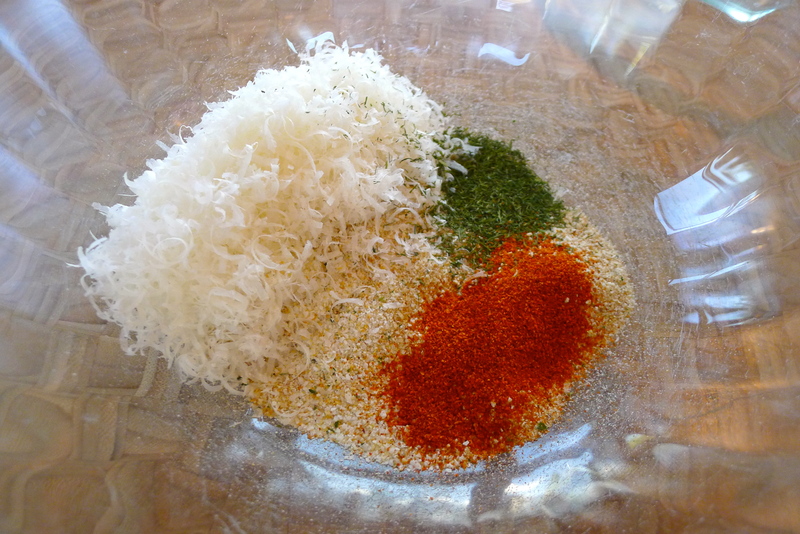 In another bowl, combine the breadcrumbs, cheese, cayenne, garlic salt, and dill. 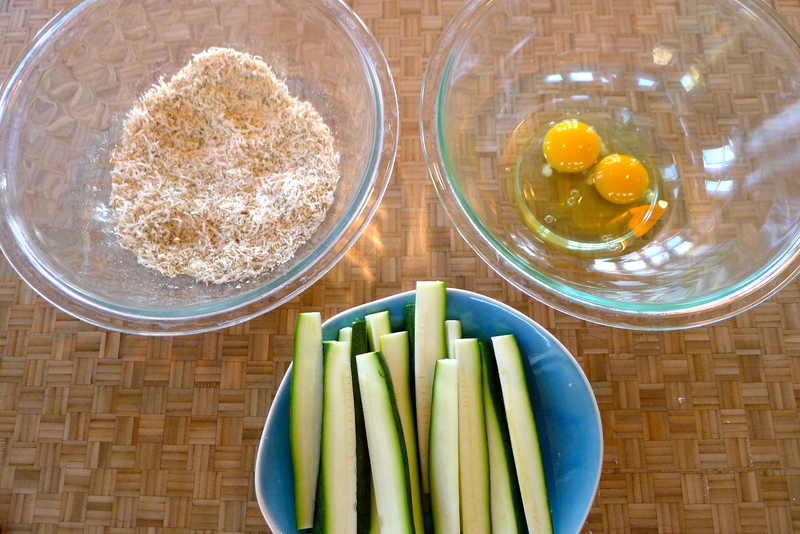 To batter the fries, dunk each zucchini strip into the egg and then coat it in the breadcrumb mixture. 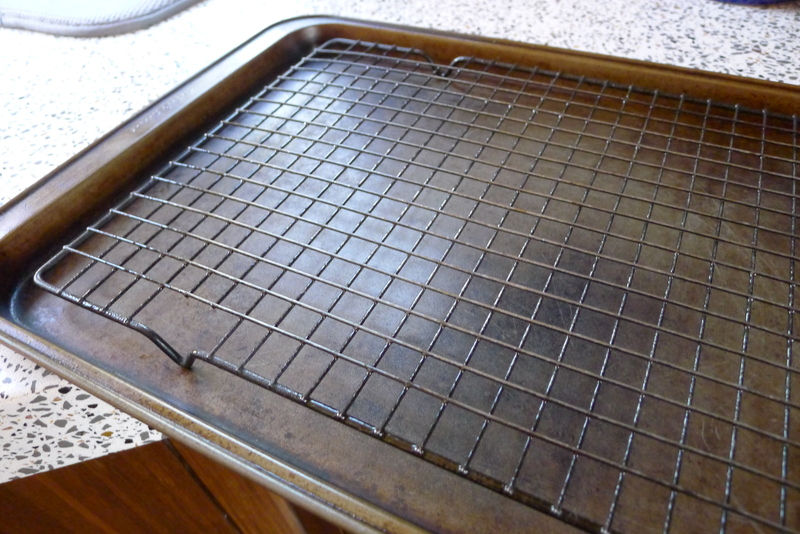 Lay the “fries” on a sprayed cooling rack over a baking sheet. 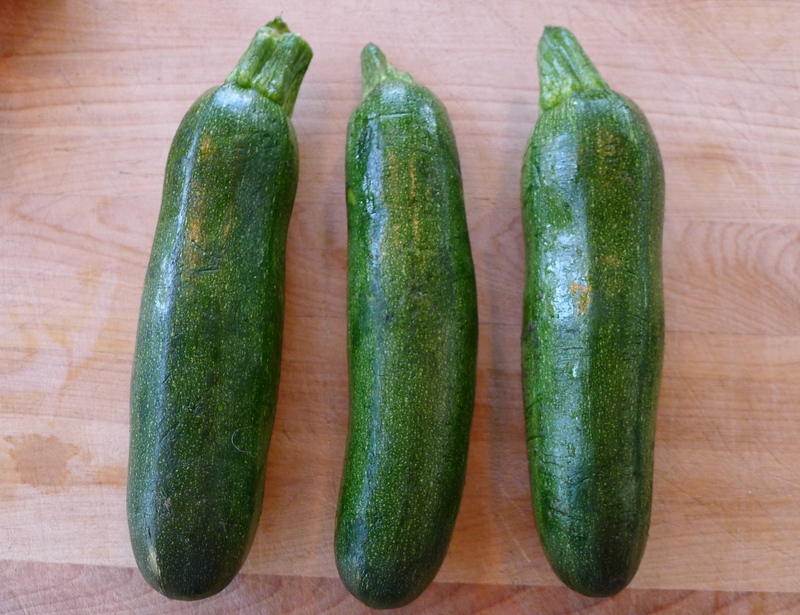 Bake the zucchini for 20-25 minutes, or until they are golden brown. Cheers to healthy French fries. YUM. Those look delicious! 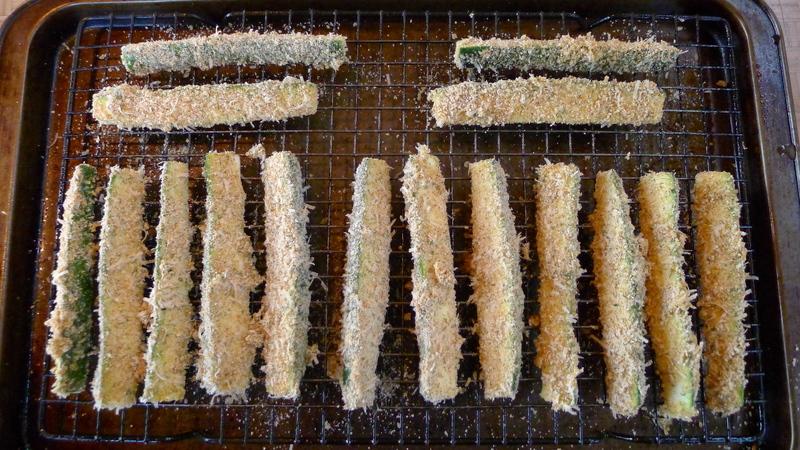 I never would have thought of making zucchini fries. Love it!